My height is 175 cm, average build, european ethnicity, green eyes, gray hair. I'm single, I don't have kids and I don't want, my longest relationship lasted for 3-5 years. 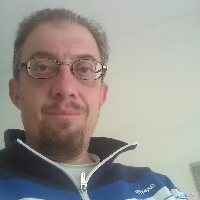 I speak 2 languages (English, Italiano), I am, I'm a worker, I deal with manufacturing, production, and operations, in the job sector automotive and parts mfg, in particular: fresatore su contolii numerici.